If you're looking to add a little Christmas cheer to your morning muffins, then you're going to love these Multigrain Egg Nog Muffins! My little brother and I keep sneaking them off the counter. 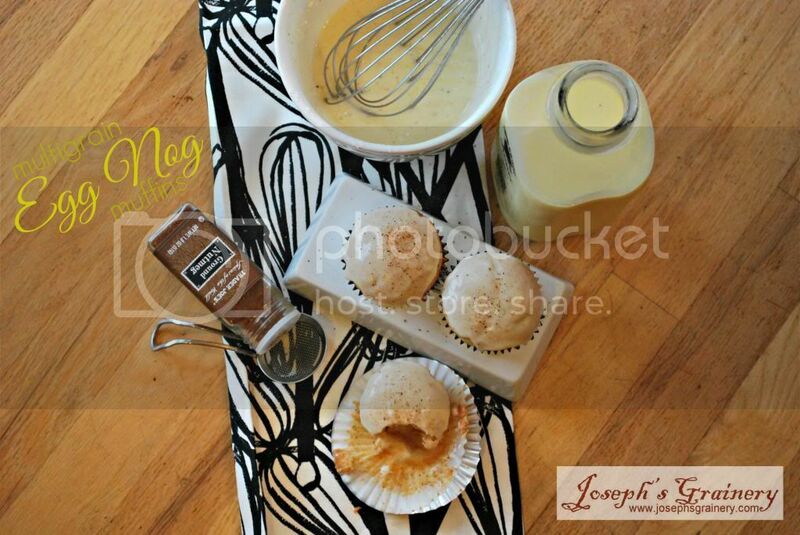 Of course our favorite part is the Egg Nog glaze, what kid doesn't like a glaze on their muffins? You'll love these merry muffins! In a small bowl, mix flour, baking powder, salt, nutmeg and cinnamon together. Set aside. In mixing bowl, mix Crisco with granulated sugar until blended. Add eggs. Slowly add in flour mixture and eggnog. Lightly spray muffin pan with cooking spray. Fill muffin cups 1/2 full and bake in a 350 degree oven for 20-22 minutes. Cool completely. 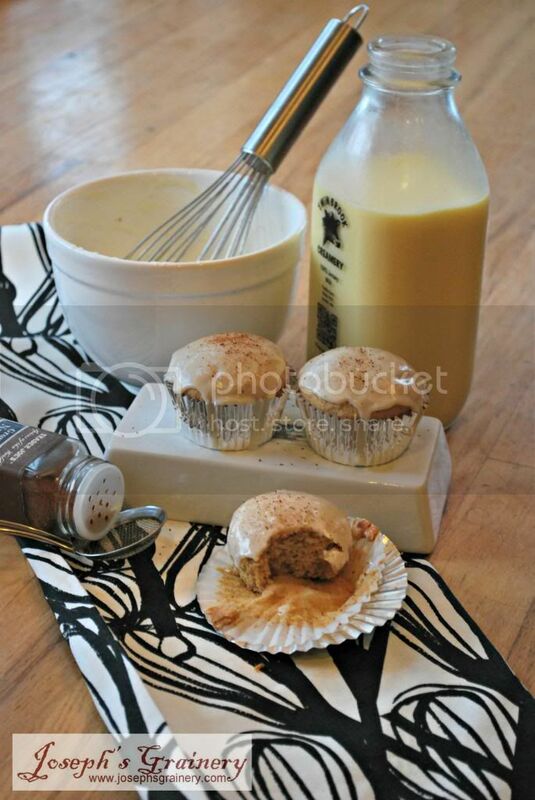 Whisk together eggnog, nutmeg and powdered sugar. Dip tops of muffins into glaze and allow to set.